Last year, our neighbor’s house caught fire. Like full on flames out of the attic, soot and smoke in the air, and them not living in their house for almost 9 months. It was scary! But it got me thinking, this can happen at any house anywhere. Do we have a fire escape plan in place? Do we know our fire escape plan essentials? What was scarier is that three cars drove by in the time it took me to run from inside my house to make sure I saw what I thought I saw (people burn leaves here, too) and call 9-1-1. Not one single person noticed. 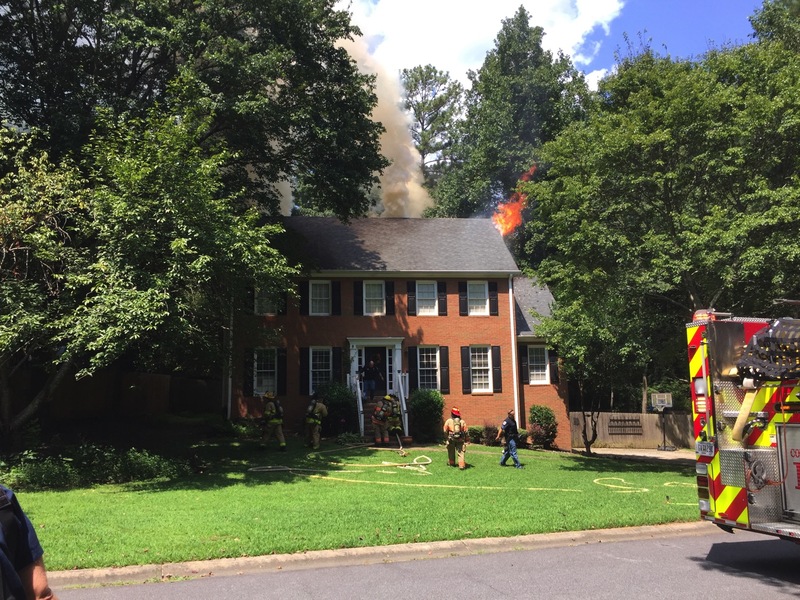 The house wasn’t a complete loss, there wasn’t anybody home and their two dogs were retrieved from the house as soon as first responders arrived. You can see, it’s not a stormy day. This wasn’t started by lightning. It wasn’t started by a fire in the fireplace. 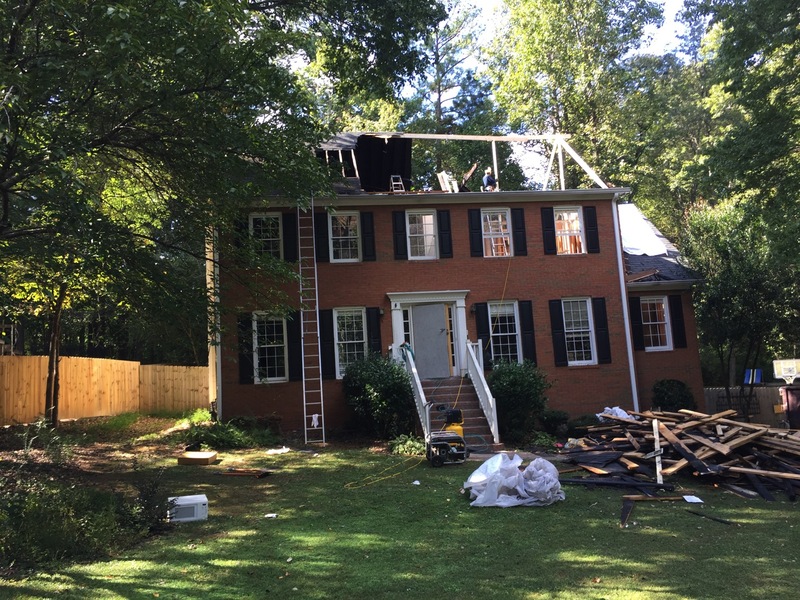 They think it was something electrical in the attic and thankfully, I saw it right after it started and the house was saved. To give you an idea, this is their house from our kitchen window. The fire started on the far side. You can see the damage on their chimney and the roof if you look closely. And just a few days later, they started the reconstruction of the house. What didn’t get fire or smoke damage got water damage! It was a long few months for them. Again, so thankful that everybody was okay and everything that was ruined was just “stuff”, but it could have happened at a different time of day. There wasn’t anything they could have done to prevent this, either. We took this as a warning to do a couple things. – Have our electrical checked in the house to make sure everything was secure and nothing had shorted out. – Order AND INSTALL new smoke detectors that communicate with each other. Turns out we had that capability, but ours didn’t talk to each other, so one could go off, but not alert the others. We also made sure they detected carbon monoxide, too. 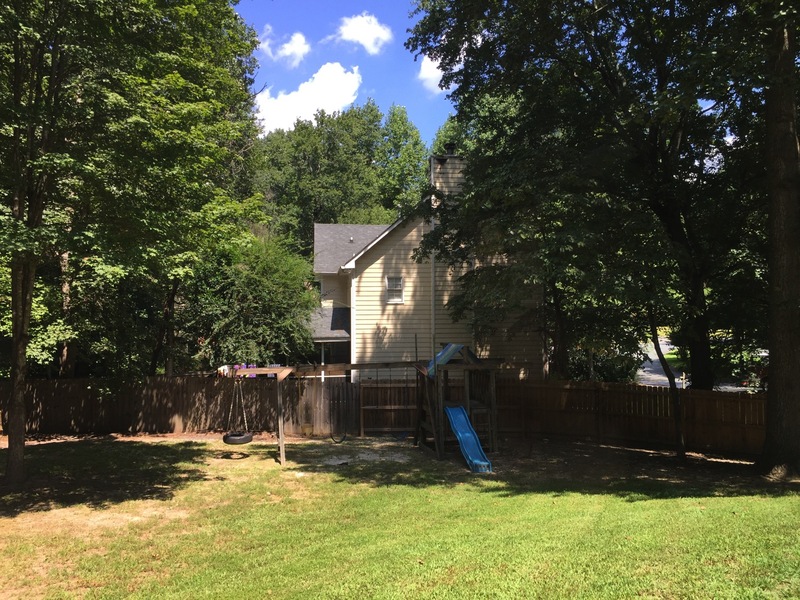 – Get our fireplace inspected and cleaned. – Check our fire escape plan and make sure everybody is on the same page. 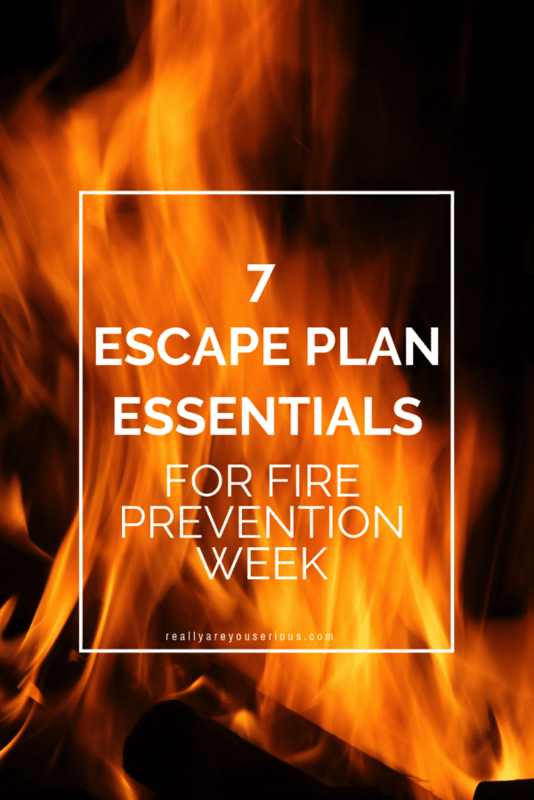 It’s so important to have a fire escape plan (and any other emergency). How quickly that fire spread at our neighbors was beyond shocking to me. I was yelling and wondering where the fire department was. In 5 minutes, it went from a little fire to the roof being fully engulfed. Every second counts when it comes to getting out of your house safely. Talk to your family about your fire escape plan. Make sure that plan accounts for everyone’s abilities. Draw a map of your home including all doors and windows with your family. Find two ways out of each room. Mark these two ways on the map and make sure everybody understands where they are and what they mean. Make sure you can open windows and doors easily. If windows are high up, make sure you have an emergency escape ladder and everybody knows how to use it. Decide on a central place in front of your home to meet and where first responders can find you. 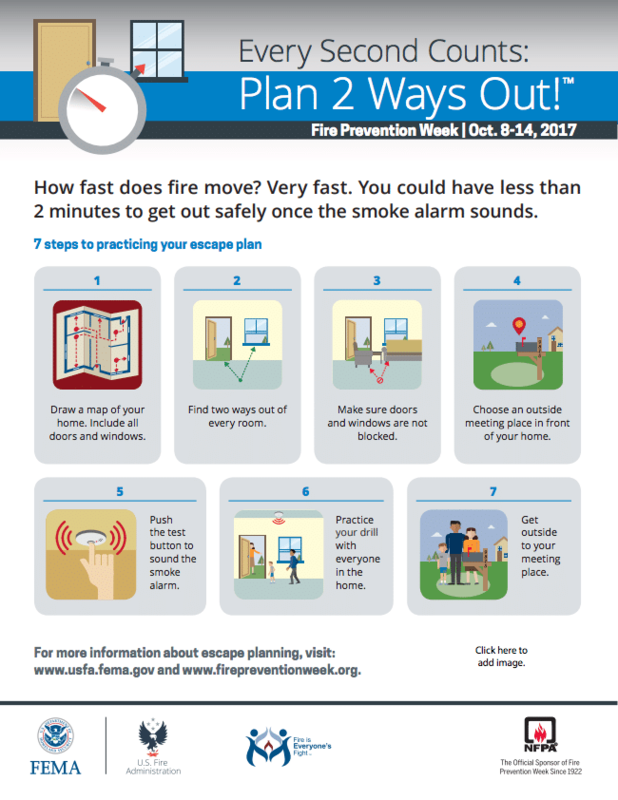 Practice your fire escape plan with every person in your home. Do all of the steps including going to your meeting place. (Don’t call 9-1-1 as part of the drill). Plan on practicing this drill twice a year and make sure you practice unpacked situations like having to crawl low under smoke. A good time to remember is to do it when we change our clocks and smoke detector batteries . Everyone should know how to dial 9-1-1 to report a fire. Just remember, don’t dial 9-1-1 when you’re practicing. This is such a nudge for me. My husband and I need to make a plan, especially as our boys are so little.